The Haber Space at Central Booking Gallery on the Lower East Side is currently presenting “Natura Mathematica”, curated by Maddy Rosenberg. 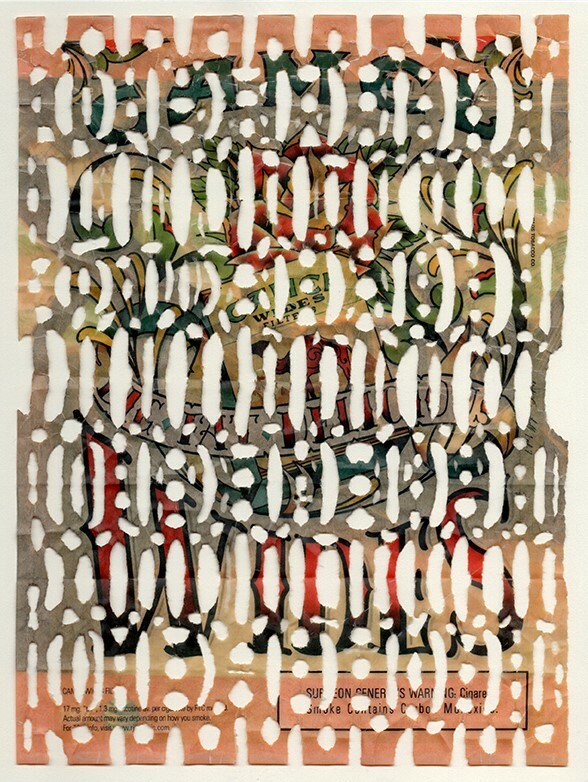 This exhibition features the work of 24 artists and addresses the connection between the aesthetics of Mathematics and forms and patterns found in nature. 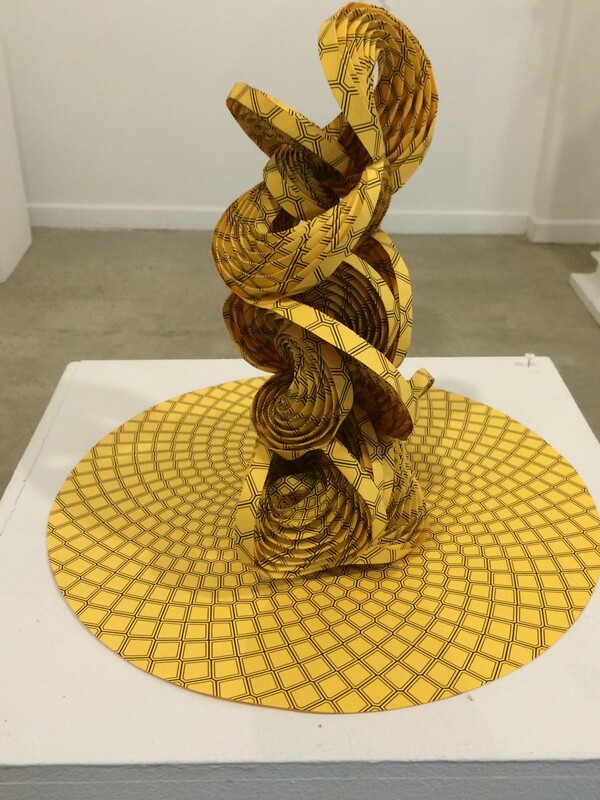 Erik and Martin Demaine’s folded paper sculpture titled “Phylotakis 959” explores the Fibonacci double spirals found in sunflowers. 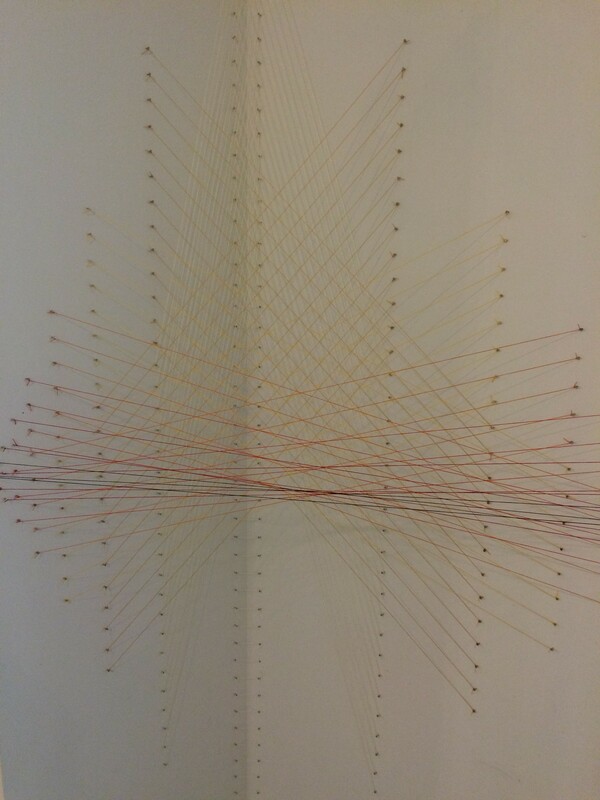 Amber Heaton’s installation “Breakdown” also utilizes the Fibonacci Sequence. The number of strings in each vertical column increases from the outer edge on each on the perpendicular walls. Starting on each side with one thread, then one thread again, then 2, 3, 5, 8, 13, 21, 34, then 55 near the corner. 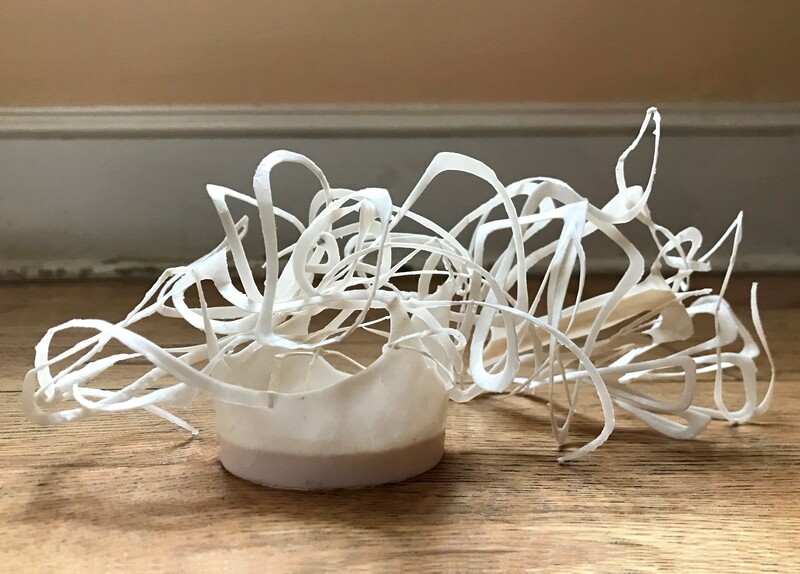 This work offers the viewer a very direct visual representation of the beauty of this growth sequence that is found in many natural phenomena. 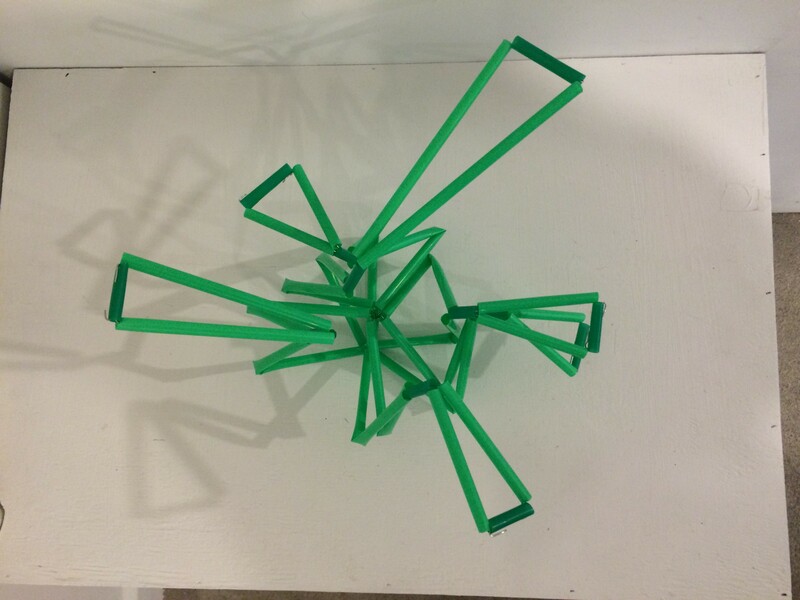 Eva Mantell “microcosm” series presents 3-D geometric line drawings using straws. This example features a series of acute triangles of various sizes radiating out from the center of the form. “Natura Mathematica” displays a differs collection of work offering a broad exploration of the connections of Mathematical sequences series and formulae and the natural word.